Diabetic Socks are recognised as the first layer of protection in diabetic foot care to help reduce the risks of pressure, constriction, excess moisture and infection. Not all socks are created equal - the most comprehensive protection is found in the patented SmartKnit® Seamless Diabetic Socks. SmartKnit® socks are made with super stretchy, core-spun yarns that hugs the feet protecting them like a second skin while reducing the risk of wrinkling or bunching. 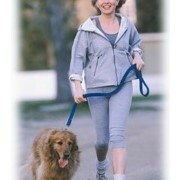 Truly seamless toe construction protects feet from the risk of pressure often present from seams across toes. 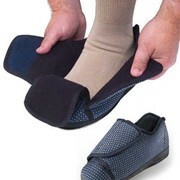 The non-binding elastic-free Halo TopTM ensures that the socks will not create constrictions. 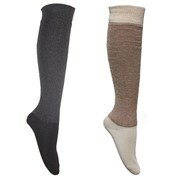 SmartKnit® Seamless Diabetic socks are available in crew and over-the-calf lengths in white, black, grey and navy. The crew also comes in a wide size to comfortably fir wider calves. Choose from either CoolMax® or X-Static®, both of which offer moisture-wicking and antimicrobial benefits keeping feet dry and healthy.